OCTOBER 26, 2016—The Evergreen State will finally have its own statewide magazine with the launch of 1889 Washington’s Magazine in February 2017. Statehood Media today announced its continued expansion in the Pacific Northwest with a bi-monthly lifestyle magazine aimed at inspiring Washingtonians and its visitors to live, think and explore the peaks and bays, the recreation and culture of the state. Thought-provoking features will engage readers to learn more about the people and places of Washington. With stunning photography and vivid prose, 1889 offers a new way to see the Evergreen State. Travel articles are driven by compelling visual pages that inspire readers to plan their next trip. Launching in early 2017, 1889 will highlight the hidden gems, the perfect getaways, the latest in architecture, the bounty of Washington’s sea and land, and the stories of entrepreneurs both urban and rural. The print magazine will be available at magazine racks across the state, as well as in Oregon, Idaho, Alaska, Montana, California and British Columbia. This new title—in addition to 1859 Oregon’s Magazine and OnTrak – adventure and lifestyle along the Amtrak Cascades route—positions Statehood Media as the premier voice in travel and leisure in the Pacific Northwest. 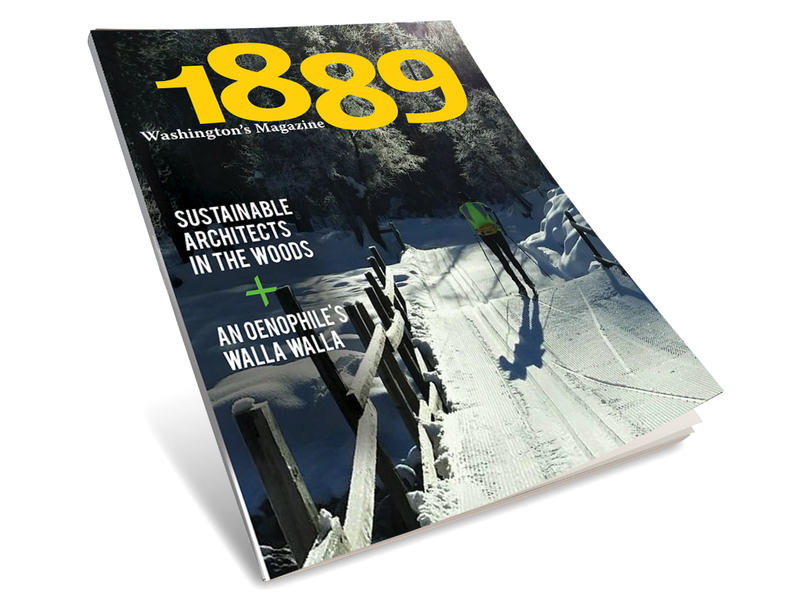 The first issue of 1889 Washington’s Magazine will offer more than 100 pages of ways to live, think and explore Washington. The issue’s theme is Romantic Getaways and takes us across the state in pursuit of cozy places, kicking cocktails and soulful cuisine. We’re excited to bring our Pacific Northwest passion to Washington. Would you like to place an ad in our premiere issue?